We would love to slather our skins with the best creams retailed in the market just with the wish to reverse the signs of getting older. To achieve a younger looking skin we go steps forward to schedule spa treatments every fortnight that could cost us a fortune, for which we do not deter or even blink an eye. We love to pamper our skins with the best of skincare products without even realising how far we are when it comes to truly obtaining the benefits. With premature aging as one of the major concerns for women hitting their 30s and over, the market is offering a spread of the some of the best anti ageing serums for use. We, however, tend to forget that the best of creams to tackle the aging concern is probably tucked away in our bathroom shelves – a sunscreen lotion. Studies have indicated that a sunblock cream is one of the most effective to tackle premature aging. It can reduce the process by four to five years in middle age individuals, which means you look four to five years younger and your skin is able to retain its natural glow and firmness. This is not one of those ground-breaking findings as most of us are aware of this fact – we just tend to ignore it. We are made to believe that we need different anti ageing products, though we may, but if we include a good and effective sunscreen to our daily skincare regime, the results will be astounding. 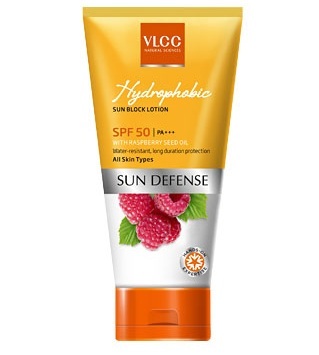 A broad spectrum sunscreen lotion or cream has cosmetic benefits. 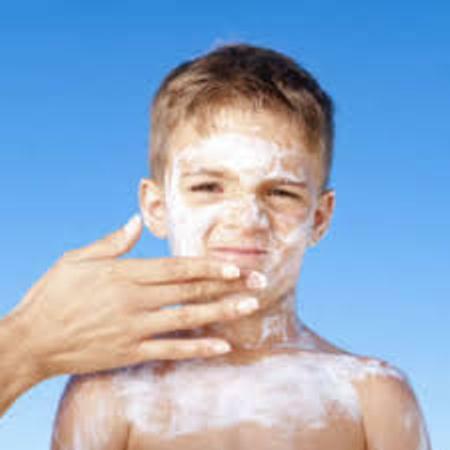 In a study conducted five years ago, middle-age individuals, both men and women, we asked to apply sunscreen lotions on the exposed areas of their body and to reapply every 2-3 hours when outdoors. The results revealed no visible appearance of fine lines or added wrinkles to the existing. This is a clear indication that the use of a sunblock lotion daily can help stall the premature aging process. It acts as a potent line of defense against cell-damaging free radicals that are responsible for appearance of wrinkles and fine lines, due to the high concentration of antioxidants in such creams. Stress and anxiety are our biggest enemies and are major contributors to premature aging. We cannot ignore the burning issues that add to the aging process, but we need to care for our wellbeing enough to realise that these negative attributes only adds on to your existing facial fine lines and wrinkles. Researchers and scientists are on a constant hunt for anti ageing solutions which can be attributed to the colossal demands of consumers, especially prominent in mid-aged individuals. Consumers hoard on as many anti-wrinkle products as imaginable only to look younger, though you’d wish of you could invent a serum that prevents you from aging ever. We all did wish to prevent looking older than we are, and to have the ability to increase our lifespan to many more years as possible. Though this sounds like a perfect wish, it is but, only a wish that can never be realised. That said while we cannot halt the process of aging, we can slow it down substantially with the use of potent, chemical free skincare products daily and by choosing potent sunblock creams with a good SPF value for added protection against preventable damage caused by harmful UVA/UVB rays. Stress and tension are lines that eventually meet at a point wherein we can clearly state that they affect our appearances. The fact that these negative factors and aging go hand-in-hand is irrefutable. We must face the fact that when we experience high stress levels, and look at ourselves in the mirror, we do look a lot older. So a scientific explanation behind your not-so-great look becomes a hovering factor. Here is the answer, probably. Recent research revealed that there is a major link between individuals who are stressed out and untimely aging and a major contributor are low levels of telomeres found in our chromosomes. These are structures in our cells that contain our genes. Scientifically, whenever a cell divides and replicates, a bit of the telomere, which lies at the end of chromosomes, sheds. When the telomere level decrease to a bare minimum our cells cease to split and dies. As we age, cells that have divided and replicated contain fewer telomeres and to top of this, telomeres decrease rapidly among those who experience high anxiety levels. This is evidence to the fact that high stress levels could possibly be one of the major contributors to premature aging. This also means that we must adapt to a healthier lifestyle that help sustain overall wellness.